Lembongan Island is a small island that is separated from Bali and became one of the favorite tourist destinations located just a few miles from land in the eastern part of Bali. Lembongan Island has an excellent reputation as a tropical paradise and is very famous for the beauty of the underwater world is so interesting and very suitable as a dive / snorkeling sites. As well as the beauty of the underwater world, Nusa Lembongan also has beautiful natural scenery with white sand which was clean and soft as well as the beauty of the sunset. 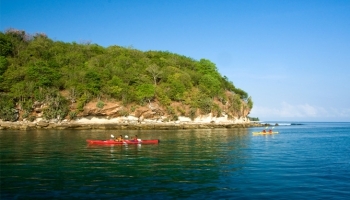 Nusa Lembongan offers many types of activities among Surfing, Snorkeling, Sea Kayaking, Mangrove, Villages, Underground house, beach, seaweed Ranch or just stroll along the beach. 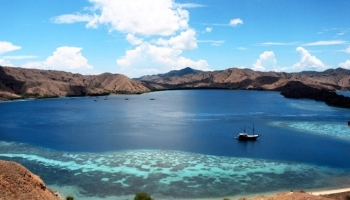 The only realistic way to reach Nusa Lembongan from Bali is by boat. There are several options according to your budget and speed. 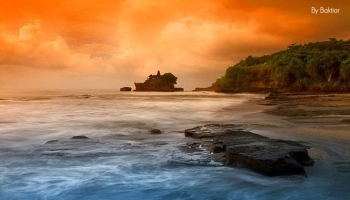 Most of the scheduled services leave from Sanur Beach at the end of Jalan Hangtuah, and involve getting your feet wet. The exact departure and arrival point on this beach depends on the tide. 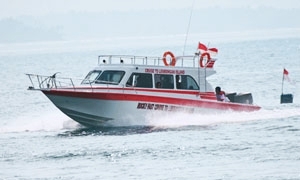 Other services run from Benoa Harbour, and there are local public boat services to and from Padang Bai and Kusamba in East Bali, but these are not recommended for reasons of safety and comfort. So we recomended you to use Fast Boat services, Using Fast Boat is the fastest way to reach Lembongan Island from Bali or Lombok. 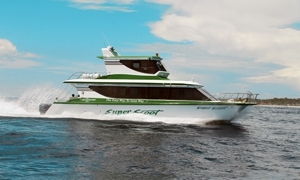 By using Fast Boat you will only spend about 30 minutes drive from Sanur heading to Lembongan. 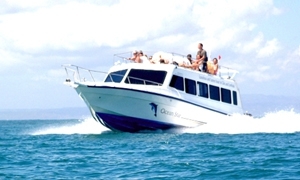 A ticket for a fast boat to Nusa Lembongan usually include free pickup / drop off service between the hotel and the port for passengers in most of the tourist area, so passengers do not have to worry about transportation between ports and their hotel. Just inform the ticketing/fast boat agent before departure to make shuttle arrangements easier.